Peter Richard Conte's third compact Disc on the Mighty Wanamaker! 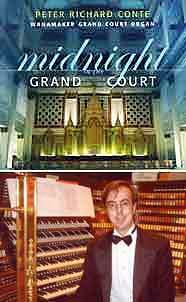 Hear The Reigning Monarch of All Instruments in its infinite delicacies and thunderous rhapsodies in the hushed stillness of Midnight in the Grand Court! Get several for friends!